From golf courses to wine country. From naturally heated hot springs and spas to whale watching. Skiing, snowboarding, and the thrills of mountain living. When you visit British Columbia, you get a little bit of it all. 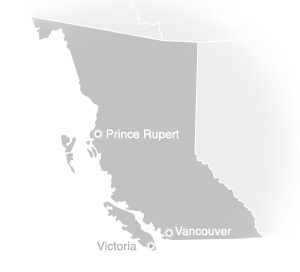 With a spectacular natural landscape and a vibrant and diverse culture, B.C. is one of the world’s great year-round tourism destinations – and hosted the 2010 Olympic and Paralympic Winter Games. Looking for something a little off the beaten path? Tucked into mountain valleys, along pretty shorelines, next-door to wilderness and far away from well-used routes, you'll discover small BC towns brimming with adventure. And of course, nowhere else can offer the breadth of winter adventure available in B.C. Catch a glimpse of 'Vikings' racing on cross-country skis. Join in an exhilarating Alaskan Husky Adventure. Or just chill out and warm up at a bustling local café in the midst of all the action. Set between the province of Alberta and the Pacific Ocean, British Columbia is a land blessed with amazing diversity and a temperate climate.